Please note: sleeping bags and ice for the esky are not included in the camp kit, sleeping bags can be arranged for an additional $5 per bag per night. 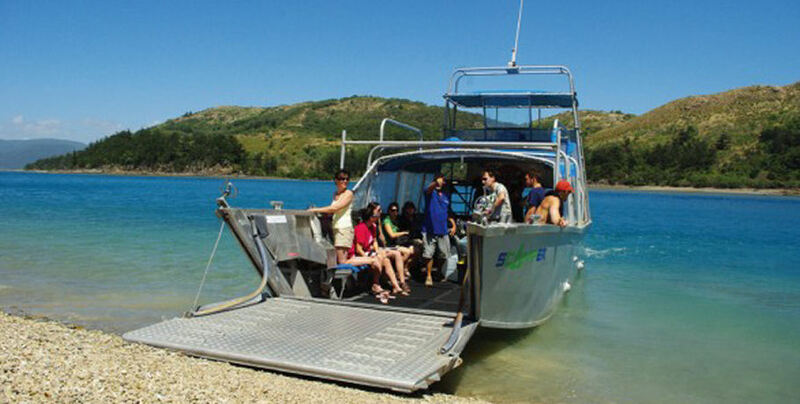 Prices are based on return transfers from Shute Harbour. 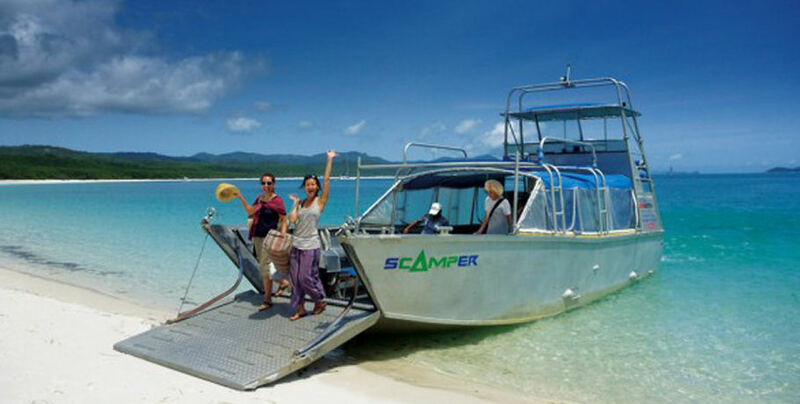 Here’s why you will love exploring and camping the Whitsunday Islands with Scamper Camping Transfers. Scamper is the perfect aluminum transfer barge designed to carry 34 passengers and luggage across its 10m frame. Her shape allows her to run right up onto the beach to deliver you safe and dry at your chosen National Park camp site. She goes at high-speed with excellent maneuverability to give you the most time possible on your camping adventure. 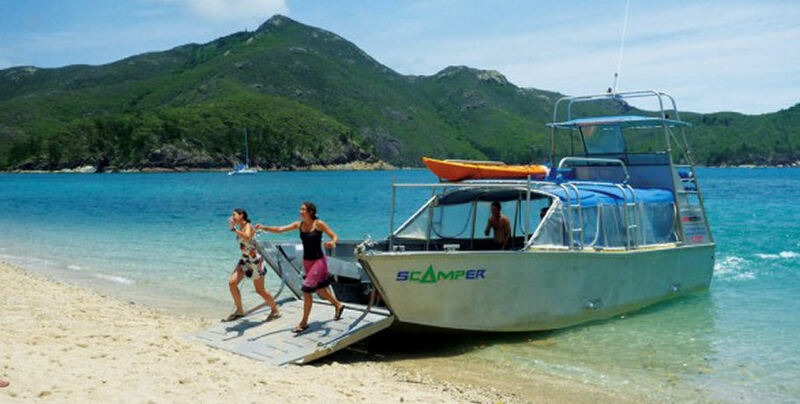 Whitsunday Island Camping Connections operate 7 days a week however check availability to ensure Scamper isn’t taking part in her scheduled beauty days (maintenance). 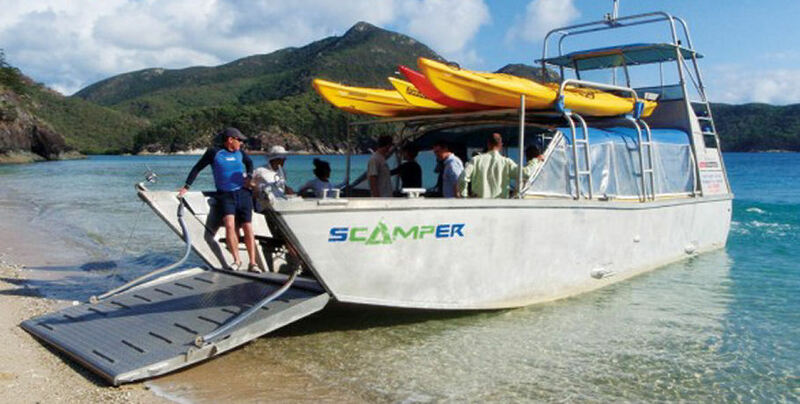 Departing from Shute Harbour, approximately 9kms south east of Airlie Beach, Scamper will deliver you to your chosen camp site based on a pre-determined schedule- weather permitting. Call us to co-ordinate your desired camp site with the accessibility of the tides prior to booking your camping permit. If booking via the phone or internet you will be issued with a permit number but not a tent tag. These are available at the Scamper departure shed or at the National Park Offices. A tent tag makes everything easier so you don’t have to be at your tent when the Rangers are doing their checks- allowing you to enjoy your holiday! 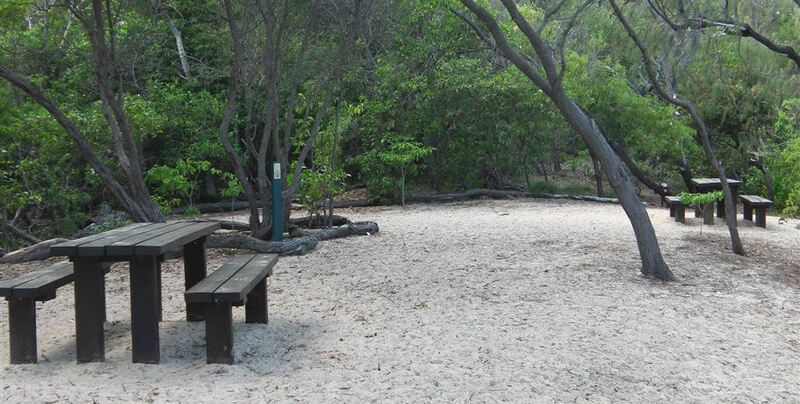 Campgrounds Features: A great campsite for people who enjoy bush walking. There are 15km of graded walking tracks passing through grasslands, open tropical rainforests to lookouts with remarkable views. 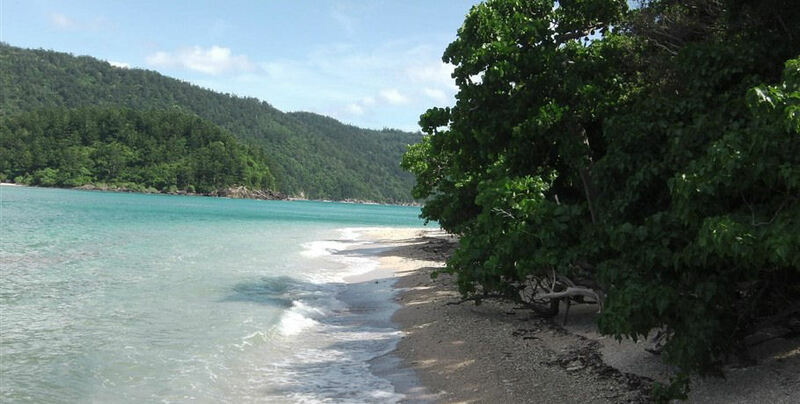 Sandy Bay has a pleasant beach fringed with coral reef and is good for snorkelling. Number of campers: Maximum of 36 people. 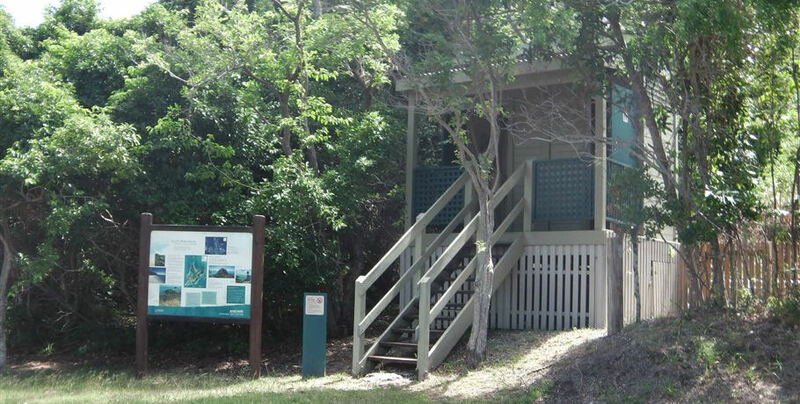 Facilities: Composting toilet and picnic tables. 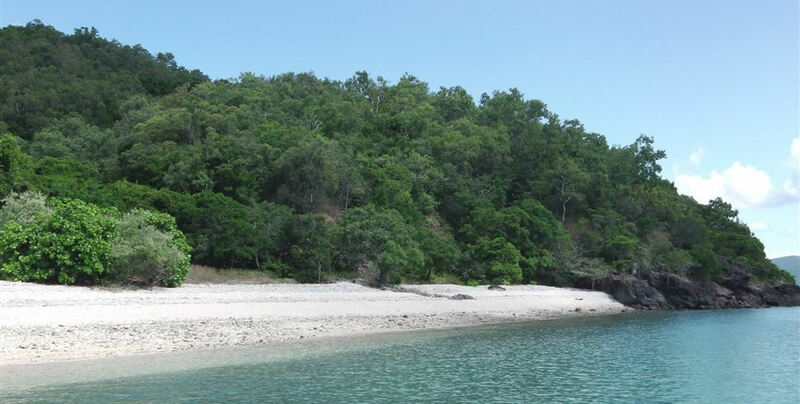 Campgrounds Features: This is a sandy campsite which backs onto tropical rainforest with views of Daydream Island. 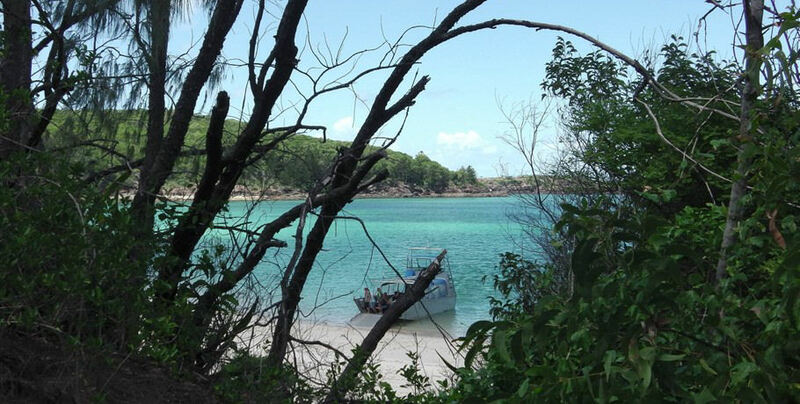 Well shaded, it offers plenty of opportunity to escape other campers as well as connecting to the rest of South Molle Island’s walking tracks reachable at low tide. Number of campers: Maximum of 12 people. Campgrounds Features: This is a small island offering pleasant bush camping with a remote feel. 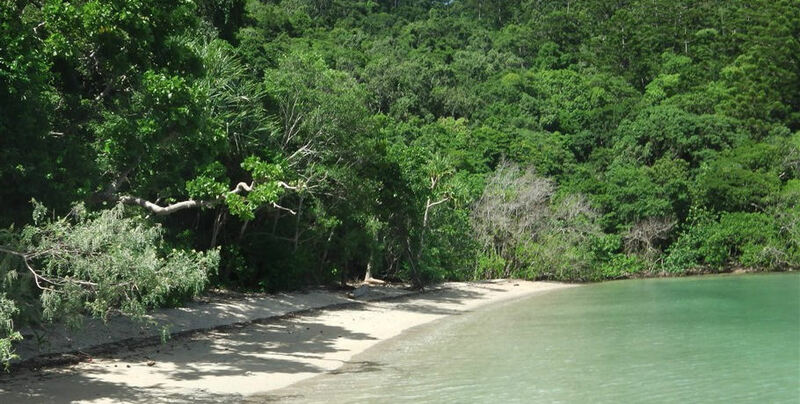 The camp site is set in dry tropical rainforest behind the island’s coral rubble shore. As there is no fishing allowed, please ensure that you are familiar with marine park regulations before visiting. Number of campers: Maximum of 6 people. 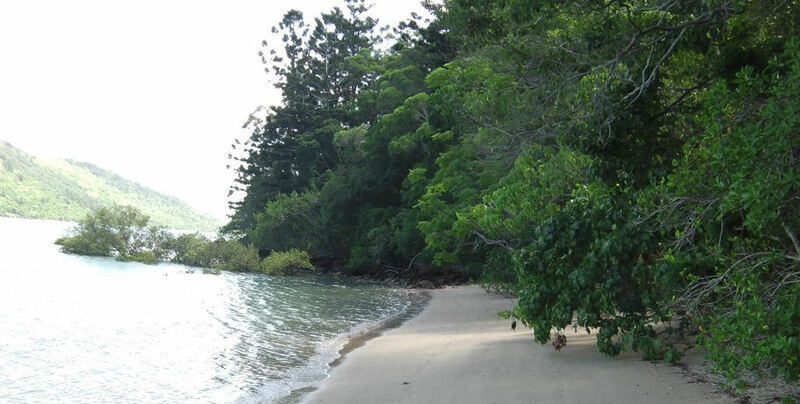 Campgrounds Features: This site is suitable for larger groups, and has a sandy beach backed by rainforest. 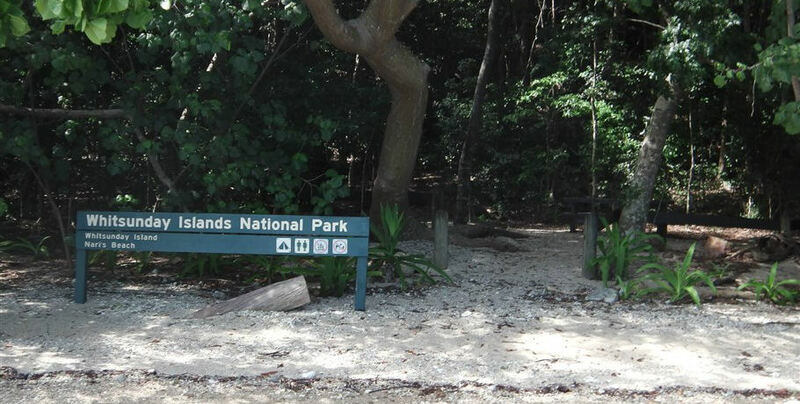 There is also a 1.5km walking track through coastal rainforest which connects to Sawmill Beach. Number of sites: 7 defined sites. Maximum of 36 people. Facilities: Composting toilets, picnic tables and sheltered picnic tables. Campgrounds Features: This site has beautiful views of Cid Island. Set under the rainforest canopy and tucked against a steep hill. Number of sites: Open area without separately defined sites. Maximum of 6 people. 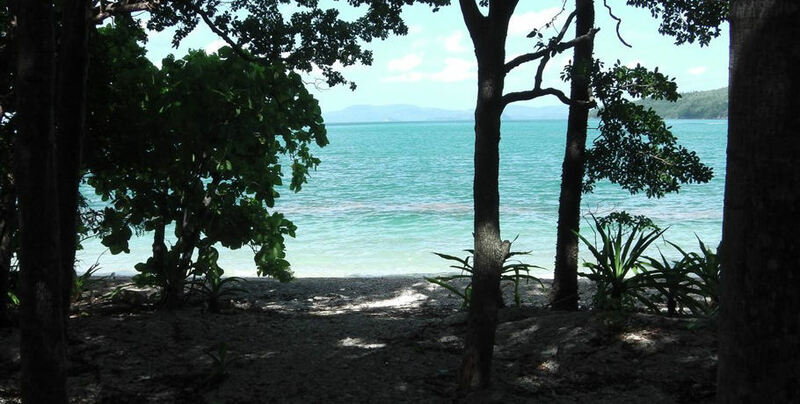 Campgrounds Features: A private camp site and beach area with stunning views of Cid and Molle Islands. The fringing coral reef provides good snorkelling and is exposed at low tide. Number of sites: Open area without separately defined sites. Maximum of 12 people. 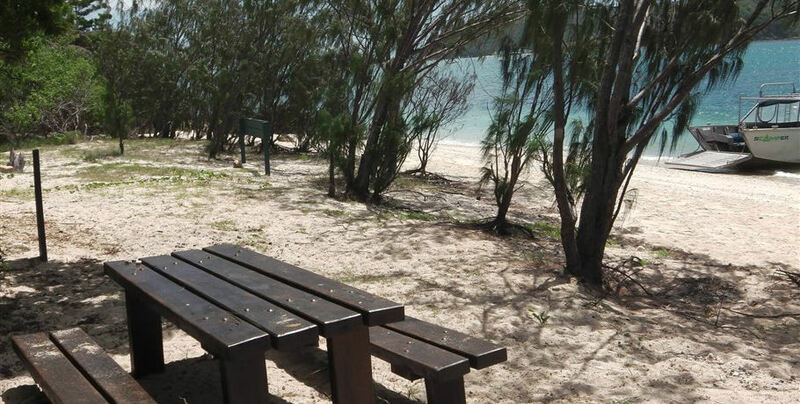 Campgrounds Features: A raised camping area with outstanding views extending across the sandy beach to Pentecost Island, the Lindeman Island Group and Cape Conway. 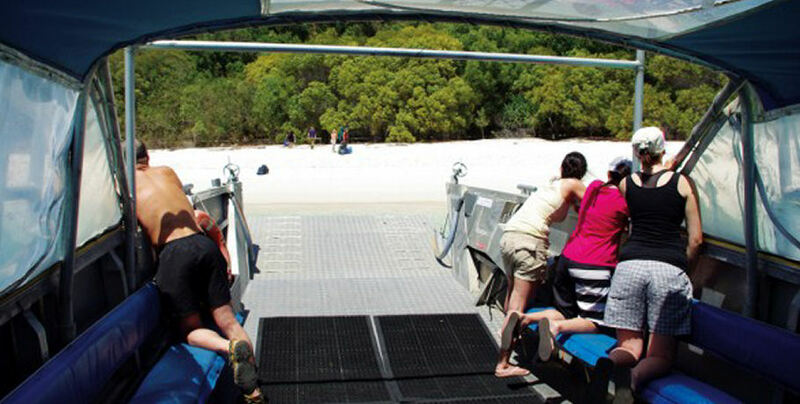 Campgrounds Features: The incredible white, pure silica sands of Whitehaven Beach are one of the best-known Whitsunday drawcards. Camp sites are nestled among low-lying vine forest and eucalyptus woodland behind the iconic beach. Number of sites: 7 defined sites including a large group camping area. Maximum of 36 people. Facilities: Hybrid toilets and picnic tables. 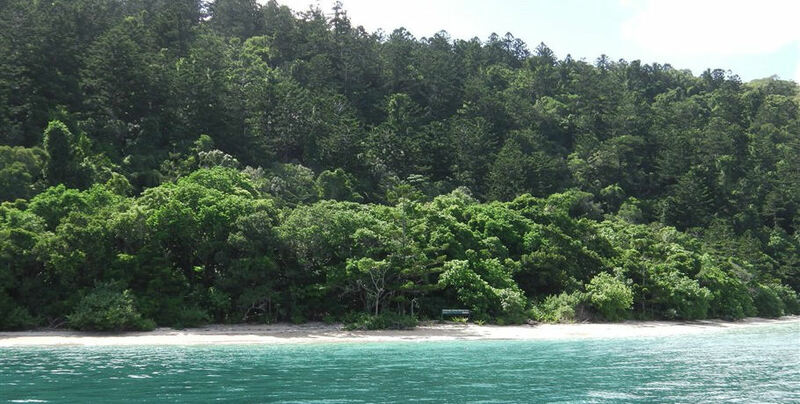 Campgrounds Features: This site is stunning, with a sandy beach backing onto rainforest with fringing coral reef. 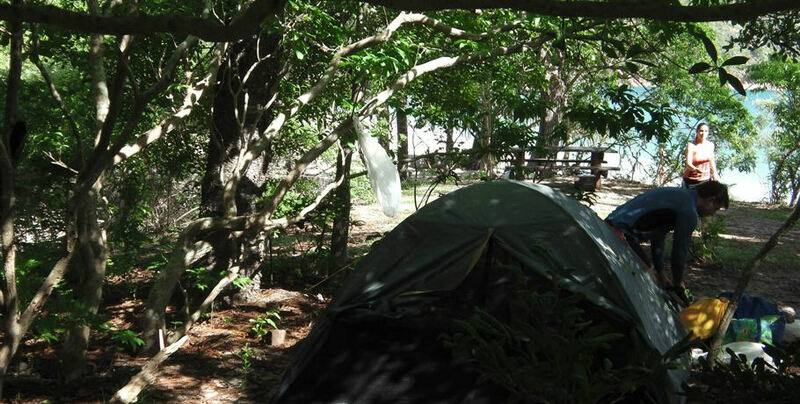 The campground is located within beach scrub flora containing many bottle trees. For incredible views, you can also walk the Cairn track, part of the Ngaro Sea Trail, to a volcanic rock formation known as the Whitsunday Cairn. Number of sites: Four defined sites. Maximum of 12 people. Facilities: Composting toilets and picnic benches. Campgrounds Features: The bays of Hook Island offer some of the most beautiful fringing coral reefs with snorkelling opportunities. Maureen’s Cove is a coral rubble beach on the northern point of Hook Island; it provides uninterrupted views over the fringing reef out to the Coral Sea. 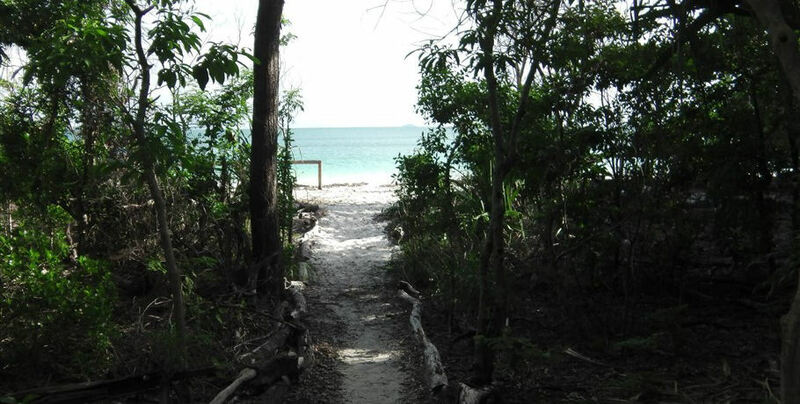 A small creek wanders behind the campground to the bay, and beach vegetation provide shelter. This site is closed from 1 Oct to 31st March for wildlife protection. 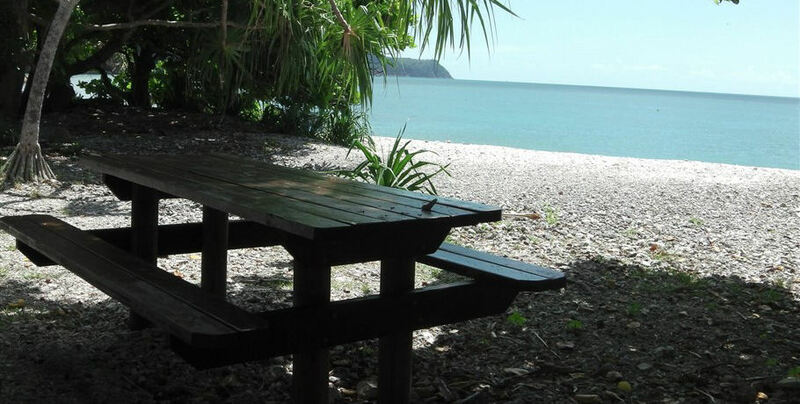 Campgrounds Features: Set in tropical rain forest behind a sandy beach, overlooking Hayman Island, a small coral reef flat provides the opportunity for snorkelling from this small camping area. Facilities: Composting toilet and picnic table. 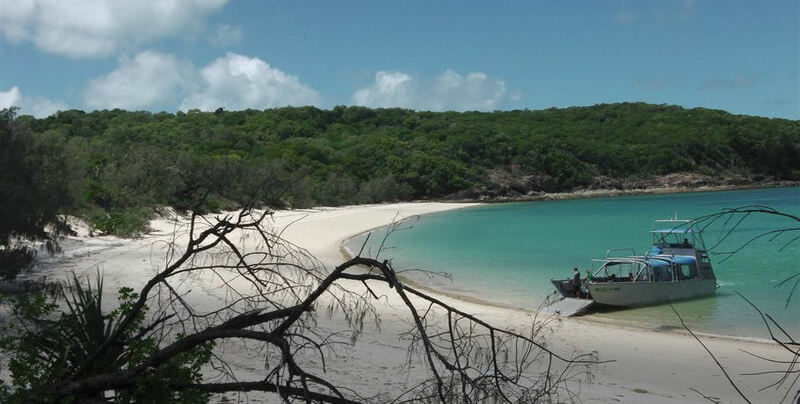 Campgrounds Features: Crayfish Beach is a beautiful Whitsunday Island camping are, with an extensive fringing coral reef flat area. The campground is sheltered by a large rocky headland to the east, and mountains to the north and west. A seasonal creek flows from the back of the camping area to the sandy shore. All prices are in Australian dollars and are inclusive of GST. It is the responsibility of the passengers to have their camp permits arranged with National Parks. Clients should note that boat travel involves risk. Whist we make every effort to safeguard passengers we can not be responsible for any damage, personal injury of loss due to the actions of passengers that are beyond our control. All departures are subject to weather, minimum numbers and unforeseen circumstances. 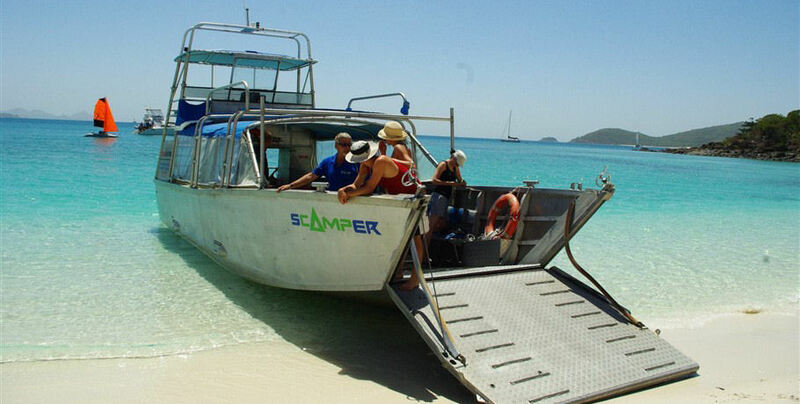 Whitsunday Island Camping Connections Pty Ltd reserves the right to cancel, substitute a vessel or alter drop off and pick up times at their discretion. Passengers are advised that some of the locations are remote and communication is not always possible. Independent travellers are responsible for their own safety at all times. Without notice these terms and conditions may change.